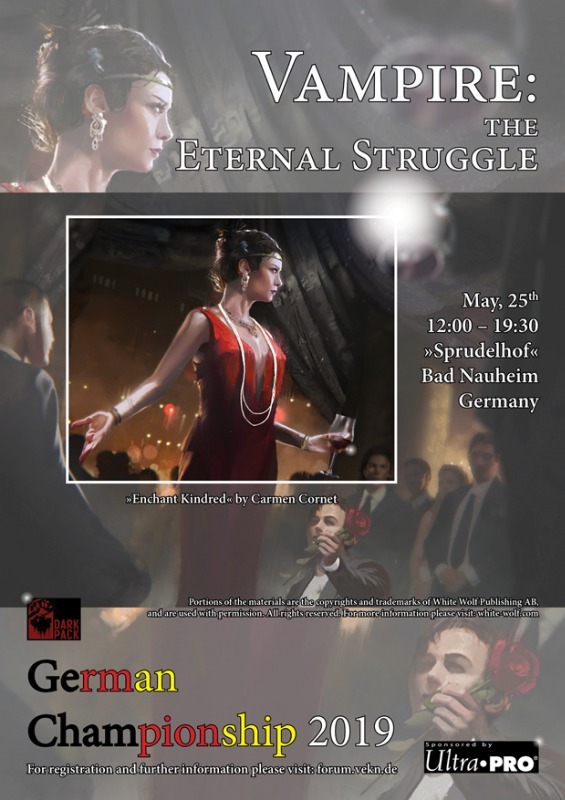 I want to invite you all to join the Eternal Struggle at the awesome "Sprudelhof" in Bad Nauheim, Germany (north of Frankfurt). The winner will receive a signed art print of the NEW "Enchant Kindred". Registration starts 12:00, the tournament at 12:30. No proxies allowed (national tournament). Thanks go to Carmen Cornet, Black Chantry, White Wolf and Ultra Pro.